Rāwiri Pene (Nga Puhi, Tainui) has played an integral role in the establishment of the adult Alcohol and Other Drug Treatment Courts (AODTC), Te Whare Whakapiki Wairua, in Aotearoa. These courts, which began in 2012, sit within the criminal justice system, seeking to divert those who would otherwise be imprisoned for offending driven by unresolved alcohol and other drug dependency issues, into a holistic and intensive, monitored treatment pathway which can prove transformational. Many of these tāngata whaiora, who have previously been on a treadmill arising from their addiction and incarceration, are Māori, and Rāwiri's work has helped to carve out a new pathway not just for them and their whānau but for the criminal justice system itself. Rāwiri’s role in the AODT Court is as ‘Pou Oranga’ - a Pou or pillar of wellness, which is well-illustrated by his own several decades of lived recovery experience. He is an inspirational role model and has a deep wellspring of advice and wisdom to impart, always given with enormous humility and understanding. He is kind-hearted and collaborative in his approach, promoting the importance of the whāriki being woven with all strands interwoven. He stands strong and proud in his Tikanga and fluency in te Reo Rangatira. Rāwiri's support, advice and wisdom are appreciated not only by those in the AODT Court, including the AODTC judges but by the wider community; the ground-breaking work overseen by him in the AODTC has also been acknowledged internationally. 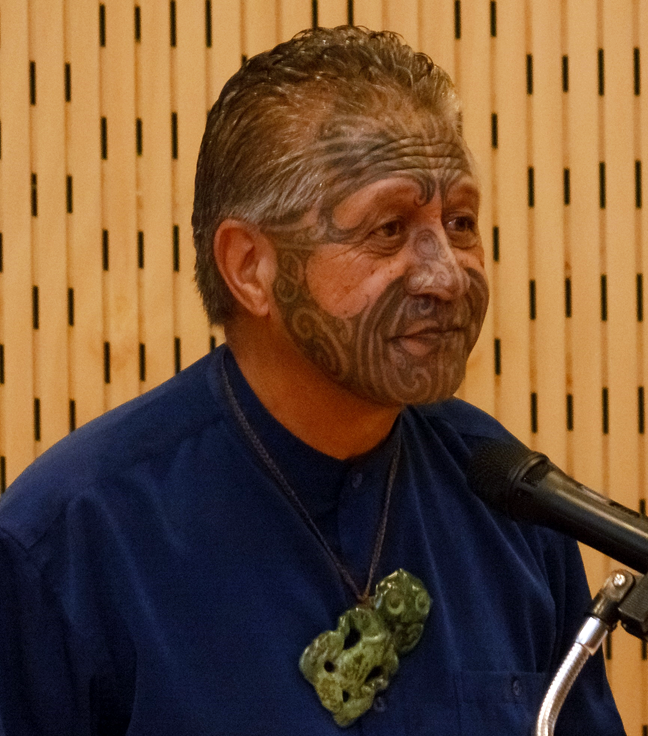 Rāwiri promotes the spirit of partnership, participation and protection in the space where the colonial law and Maori lore practices align – as he says: “Consider LAW and LORE are working together in real time”. He often refers to the Coat of Arms which sit in the country’s courtrooms, where Māori and Pākehā stand equally and side by side. He promotes what he suggests are simple concepts that significantly contribute to the wellbeing, empowerment and bi-cultural fulfilment of a safer, healthier and flourishing society where working together makes all the difference. Rāwiri has also worked for many years at Higher Ground, Papa Taumata - a residential Alcohol and other drugs (AOD) treatment facility in Auckland. He has worked there as a cultural advisor/facilitator, and his wife Kohe Pene (Te Whānau-ā-Apanui) works there as a cultural/clinical practitioner. They have been particularly active in their facilitation of the programme’s ‘Whānau group’. Rāwiri and Kohe are also both actively involved in the Kaupapa Whānau Oranga, a National Maori AOD recovery collective. Rāwiri and Kohe live in Tāmaki Makarau ki te uru, in Auckland’s west. Together they have ten children and many mokopuna.